Right from the get go when we started planning this trip, I was told that going to Georgetown Cupcake is a MUST! 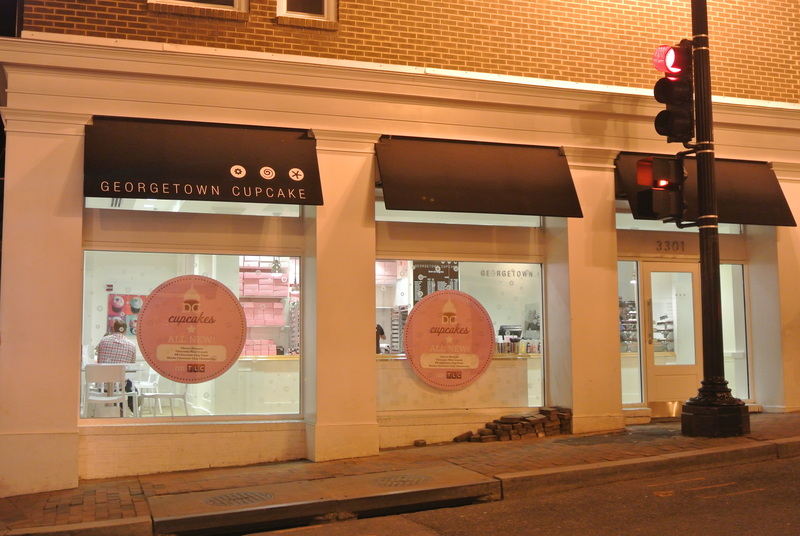 I did know of Georgetown Cupcake as I did watch an episode or two of the famous “DC Cupcakes” on the TLC network, the reality show that is based on the owners. But, a cupcake is a cupcake isn’t it? I admit, these cupcakes are delicious and frankly have the right buttercream to cake ratio. And I’ve had cupcakes where I felt like I was eating pure butter as the icing but the Georgetown buttercream didn’t leave that “fatty” film in my mouth that some buttercreams leave. 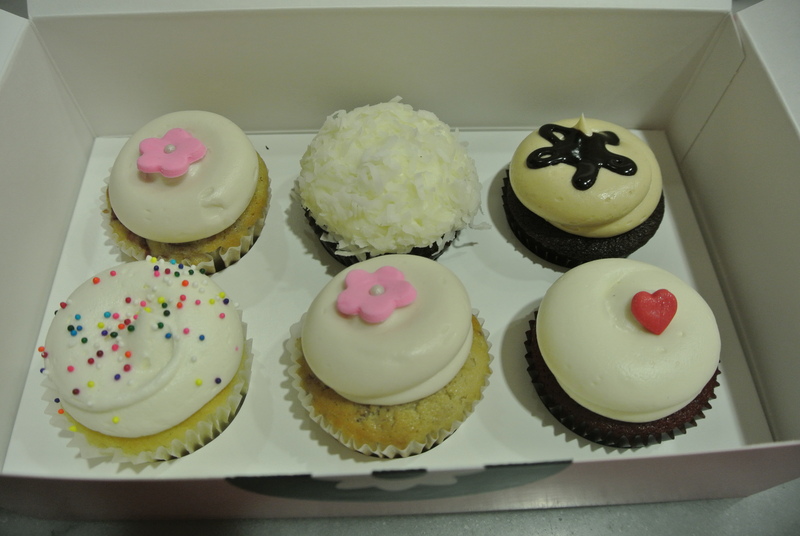 Of the half dozen cupcakes we ordered, my favourite hands down was the chocolate coconut cupcake. As soon as you bite into it, you get a punch of coconut flavour and eaten with the moist chocolate cake, it was so yummy! The seasonal flavour for March was the cherry blossom cupcake and although it was a good cupcake made with a vanilla cherry cupcake and topped with vanilla buttercream, I was expecting a “sakura” or Japanese cherry blossom flavour which is a more floral flavour – and if you’ve been to Japan in March/April, you know exactly what I’m talking about. 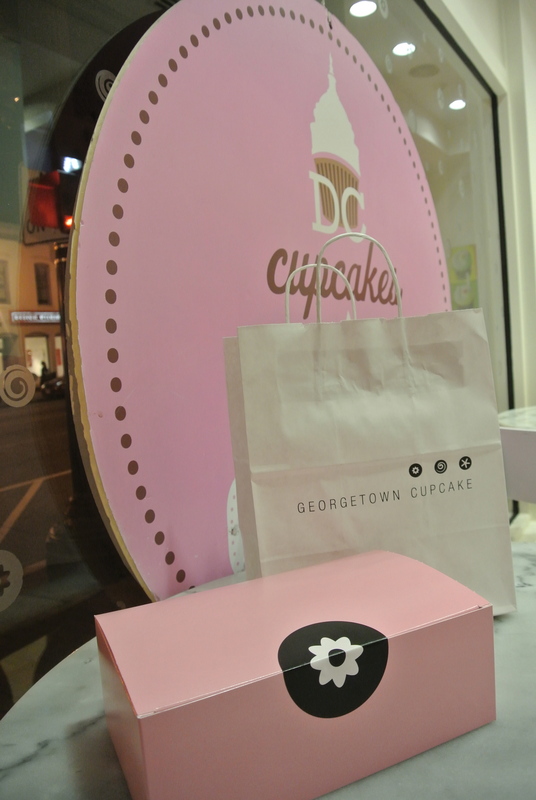 Nevertheless, I have no regrets – I’ll be back Georgetown Cupcake, I’ll be back! 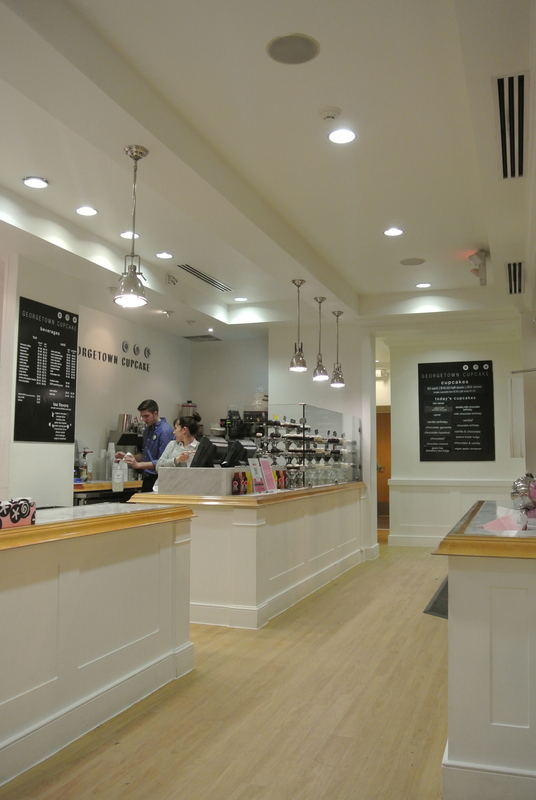 The very white and clean interior of Georgetown Cupcake. 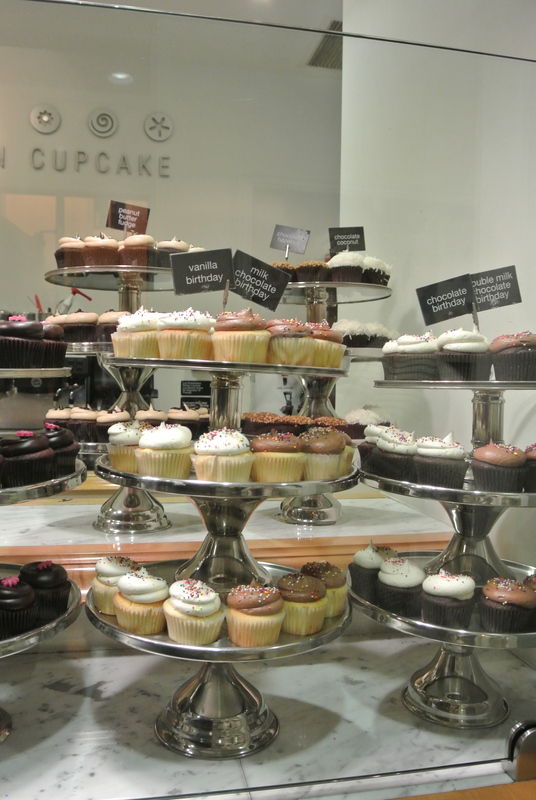 The beautiful display of cupcakes. So many to choose from. 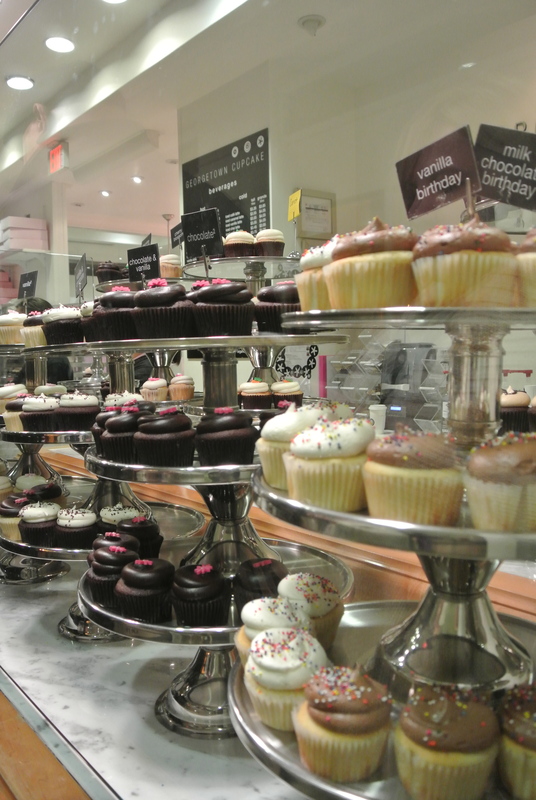 Stands and stands of cupcakes. Our choices for a half dozen cupcakes. 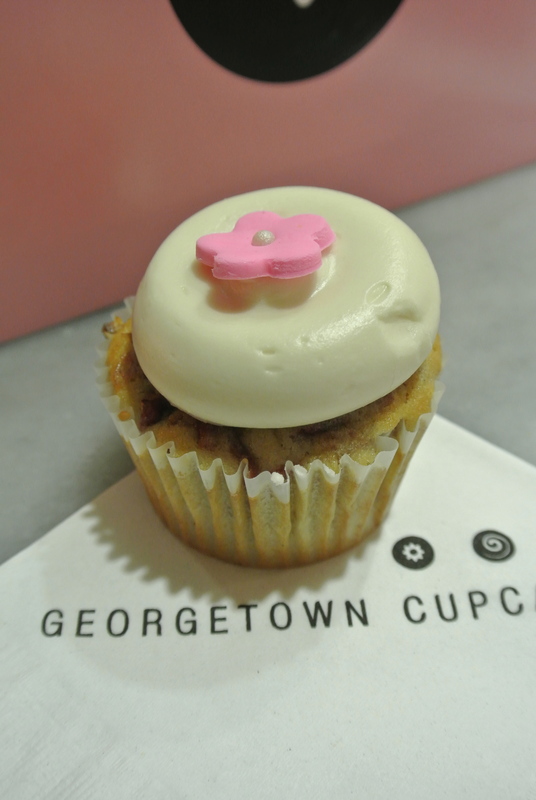 The deliciously looking special cupcake for the month – cherry blossom cupcake. 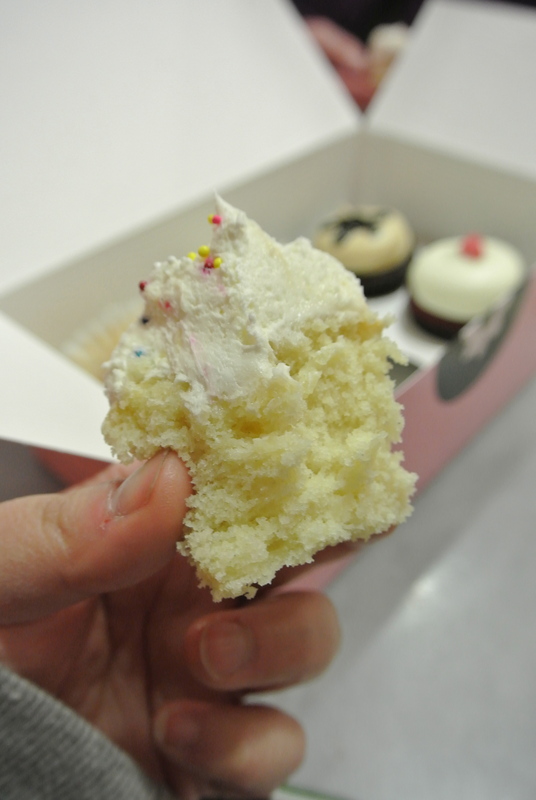 Inside the vanilla birthday cupcake.